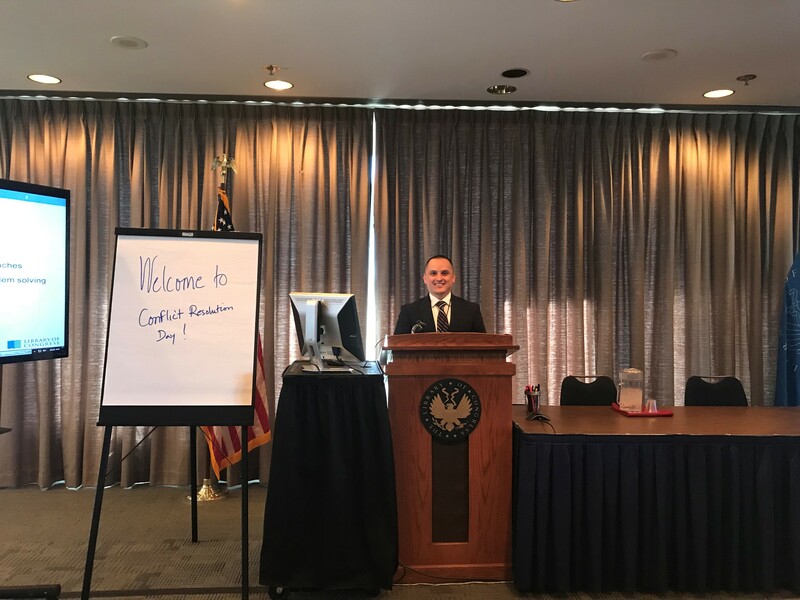 Jorge Rice, Ph.D., 2015 graduate of the doctoral program in Conflict Analysis and Resolution in the Department of Conflict Resolution Studies (DCRS) in NSU’s College of Arts, Humanities, and Social Sciences (CAHSS) was named an Equal Employment Specialist for the Library of Congress. His position, housed within the Equal Employment Opportunity and Diversity Programs, involves multilayered work on specific complaints as well as counseling, mediation, investigation and training for all staff members at the Library of Congress. In addition to his doctoral degree, Rice holds a master’s degree in public administration from NSU, and a bachelor’s degree from Florida International University. The Florida Supreme Court certified him in civil, family, and appellate mediation. Rice has certifications in the EEOC complaint process, as an EEOC investigator, and is certified by the Financial Industry Regulatory Authority (FINRA), as an active arbitrator on their panel. Prior to joining the Library of Congress, Rice worked as a contractual EEO Investigator, Mediator, and Final Agency Decision Writer for the United States Postal Service.